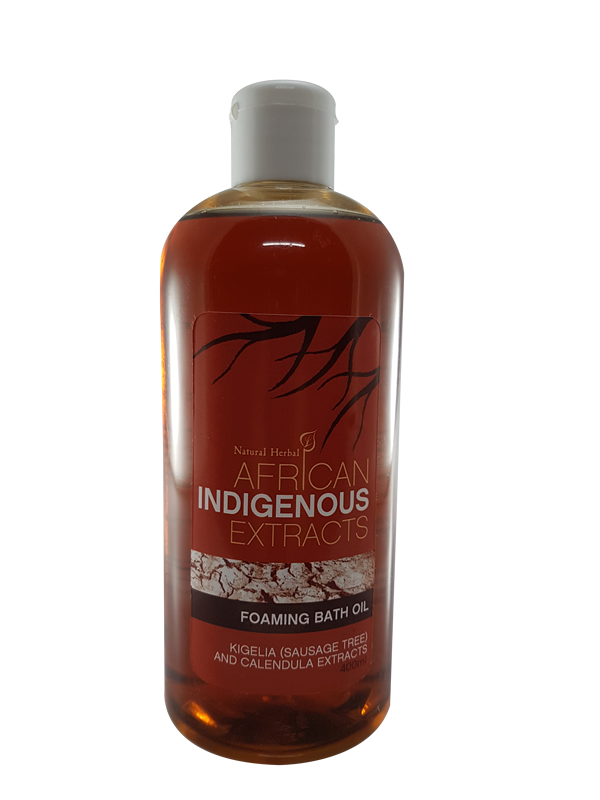 Foaming bath oil combines the luxuriant feel of bubbles with the moisturizing benefits of oil. The combination of Kigelia (sausage tree) and Calendula extracts is used to create sumptuous foam that treats skin leaving it soft and relaxed. Kigelia and Calendula extracts are skin active ingredients and work as medicine for your skin when added to hot water. Kigelia extract slows down the growth of over-productive skin cells that often cause irritation. The antioxidants therein promote greater elasticity leading to a more toned and smooth complexion. Kigelia oil also reduces damage caused by sun exposure. Calendula extract, made from the Marigold flower, is well known for its anti-inflammatory, antioxidant, astringent and antiseptic properties. Calendula also acts as an antiviral remedy for skin and heals inflammation while soothing dry and itchy skin. Add to running water to create heaps of skin conditioning and healing bubbles. Leaves the skin relaxed, soothed and stress-free.